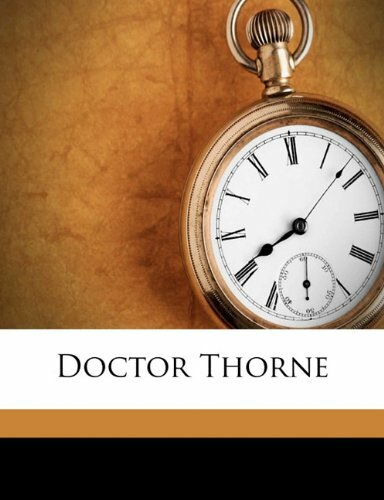 DOCTOR THORNE - TWO VOL. SET. 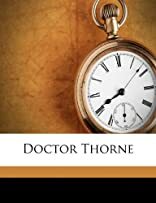 Doctor Thorne is the third novel in Anthony Trollope's series known as the "Chronicles of Barsetshire", published in 1858. It is mainly concerned with the romantic problems of Mary Thorne, niece of Doctor Thomas Thorne (a member of a junior branch of the family of Mr Wilfred Thorne who appeared in Barchester Towers), and Frank Gresham, the eldest son of the local squire. Anthony Trollope (April 24, 1815 - December 6, 1882) became one of the most successful, prolific and respected English novelists of the Victorian era. Some of Trollope's best-loved works, known as the Chronicles of Barsetshire, revolve around the imaginary county of Barsetshire; he also wrote penetrating novels on political, social, and gender issues and conflicts of his day.